The veterinary medicine degree can be referred to in different ways, such as ‘veterinary science’ and ‘veterinary medicine and surgery’. Although the veterinary schools use varying names for the course and varying ways of teaching it, this is the course which will set you on the path to becoming a veterinary surgeon (all British vets become registered veterinary surgeons). The standard degree – Five years’ duration, except at Cambridge, where a six-year course incorporates the award of the equivalent of an intercalated degree after the first three years. The graduate accelerated degree – Designed for those who already have a biology-related degree. Successful applicants are permitted to begin in the second year of the standard degree, making the graduate accelerated degree four years long (or five years at Cambridge). The standard degree with a preliminary year – For applicants who have achieved highly in their qualifications but who have not taken the required science subjects. An additional year at the start of the degree provides the required tuition, making it six years in total. Not available at all veterinary schools. The standard degree with a gateway year – For applicants from disadvantaged backgrounds. An additional year at the beginning brings these students to the level of others. It is six years in total. Not available at all veterinary schools. An intercalated veterinary medicine programme – These can vary between veterinary schools, but often they are for applicants taking a standard degree who wish to take a year out of the course to study an area of interest in depth, including a research project, leading to the award of an intercalated degree on graduation. Veterinary medicine is one of the most valuable degrees currently offered. It is also one of the most competitive degree courses to which to gain entry, so it’s important to have a good idea of what you need to do. Although the entry requirements for veterinary medicine are high, there is variation between the veterinary schools in what they require. To learn the exact requirements it is advised that you look at the websites of the veterinary schools you’re interested in. Visit our list of veterinary schools for links to their websites. The ‘typical offer’ can be generally considered as three A’s at A-level, but some veterinary schools offer at different grades, such as AAB and A*A*A. For Scottish Highers, the typical offer is two Advanced Highers at BB and five Highers at AAAAB, and again there is variation between veterinary schools. For instance, some require AA at Advanced Highers. Biology is a commonly required subject, with chemistry also a requirement for several veterinary schools. Subjects such as critical thinking and general studies are often not considered. Funding varies according to your circumstances. Working out which loans, grants and bursaries you’re entitled to will be made easier with the following links. Note that funding varies according the country within the UK in which you have been living. Student Loans Company – The body which allocates loans to students studying in the UK. Student Finance England – Support for students entering higher education on behalf of the UK government. Student Finance Wales – Funding for students at universities in Wales. Student Awards Agency for Scotland – Funding for eligible students studying in the UK. Student Finance Taskforce – Resources for addressing myths around student finance. Student Finance Calculator – A tool for working out how much money you will need. Gov.co.uk – Information on student finance. The application process for international students is the same as for domestic students, with all applications made through UCAS. The standard of grades required is also the same, but the equivalent grades will need to be determined for the international qualifications used to apply. 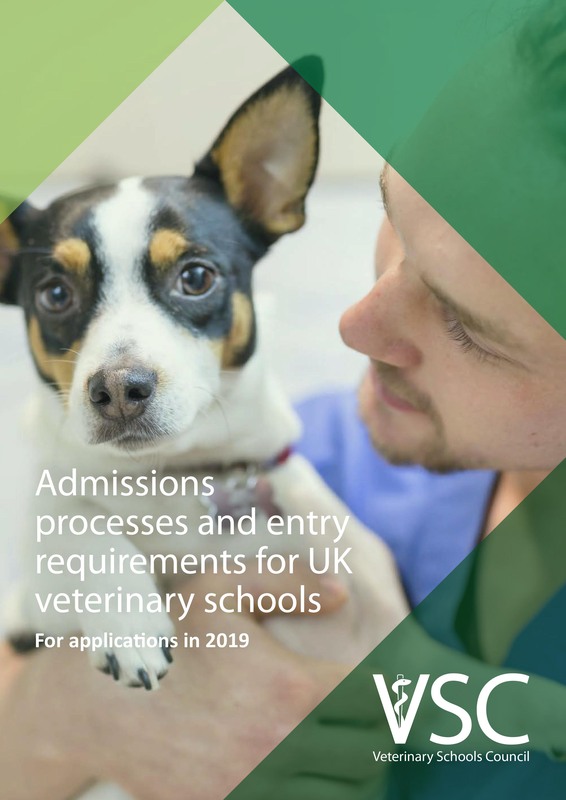 Many veterinary school websites will have links in their entry requirements sections which show lists of international qualifications and how they relate to UK qualifications for a given veterinary school. If you cannot find your qualification on the lists, contact the admissions department of your chosen veterinary schools to see what they have to say about your qualifications. If your qualifications are not considered, contact UKNARIC to see if your qualifications can be converted into a certificate of equivalence. The veterinary schools will consider a certificate of equivalence. If your previous education has not been in the English language, the veterinary school may require you to have passed the International English Language Testing System (IELTS). This can be determined through the veterinary school websites.